The challenge of opening a restaurant is to make sure that the food and service are great on the inside … and that the building’s outside is inviting and appealing. At Captain George’s Seafood Restaurant in Kill Devil Hills, North Carolina, the owners got both inside and outside elements right. The 400-seat buffet-style restaurant features mouthwatering seafood options enclosed by a structure built to withstand severe weather while having a welcoming design. The 12,100-square-foot on the North Carolina Outer Banks is protected by an impact-resistant shake alternative roof from DaVinci Roofscapes. Tested to withstand hurricane-force weather conditions, the polymer roofing tiles also resist fire, rot, moisture and insects. 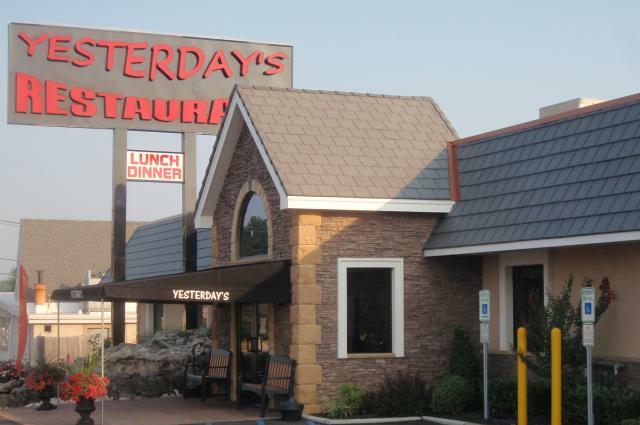 Up the coast in Hazlet, New Jersey, Yesterday’s Restaurant received a new DaVinci slate alternative roof in 2010 after a late-night fire destroyed the family-owned southern Italian and American cuisine restaurant. 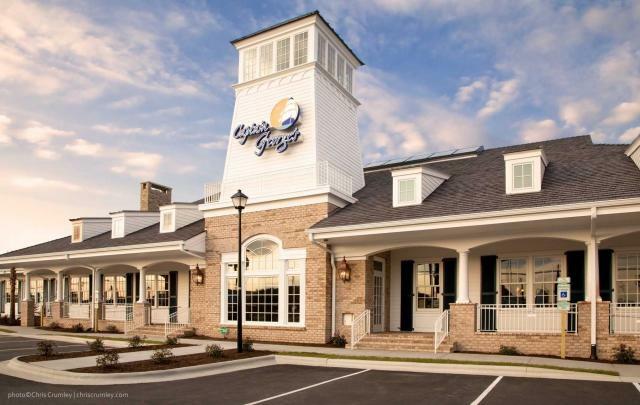 “I picked out the slate gray Bellaforté roof because it had the look I was going for that matched up with the stone and stucco siding features we added to the building after the renovation,” says Vinny Spalliero, owner of the Bayshore community restaurant. “The polymer roof is a nice, durable product and the fire resistant benefit gives us all added peace-of-mind. For more details on the re-launch of Yesterday’s Restaurant visit Family-Owned Businesses Work Together in Fire Aftermath.